Levi Baglino, a 16-year-old Park City High School student who raps under the name Notion, hopes to become a well-known hip-hop artist. Park City High School is home to some of the best students, athletes, artists and debaters in the state. But very few know that it is also home to an up-and-coming rapper. It's a career choice that makes him an oddity in Utah. 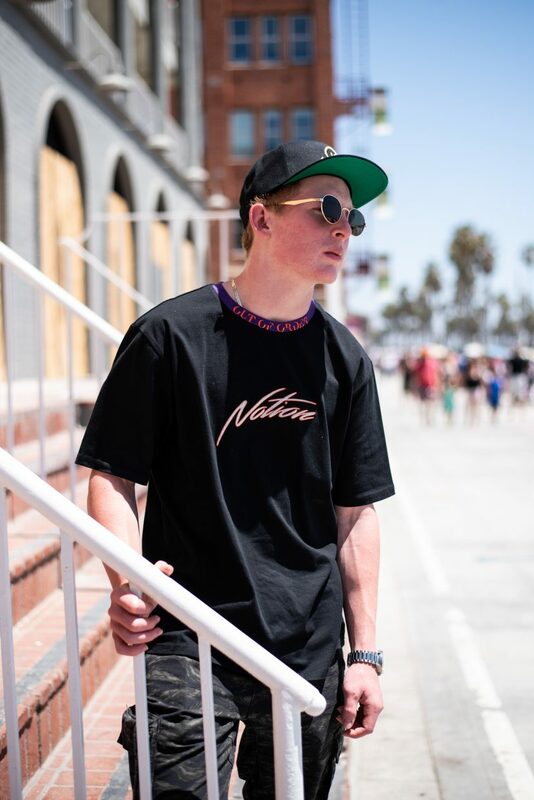 Living in Park City, 16-year-old Levi Baglino is not your typical rapper, but he is nonetheless pursuing his dream of making it big in the rap world. For Baglino, making music started out as just something fun to do. He said that as a freshman, he would spend his free time making beats in his basement with friends. It was during one of his basement sessions that he came up with the name Notion, which he adopted as his stage name. He began posting his raps to the online music sharing platform SoundCloud. As his music gained attention throughout PCHS, Baglino realized that he might be able to turn his passion into a career. By the end of 2017, he had music on Spotify, Pandora and iTunes. This allowed him to get his songs heard outside of Utah and, in his view, legitimize his music. Soon after releasing his single "Goodbye," in June of 2018, Baglino had more than 32,000 monthly listeners on Spotify. "(Having music on Spotify) makes you look official for sure," he said. "There are playlists that are curated by Spotify, and they'll put me in their playlists, which gains me more exposure." While Baglino has been able to profit by making his music available on the music platforms, he said that he has to work regular jobs in order to fund his music production. However, for him, the hard work is rewarding. "I like the feeling of being in the studio," he said. "You walk in and you don't have anything but you walk out with something totally new. You're making something completely from scratch in there." While Baglino writes all of his lyrics, he often turns to other artists for inspiration. After listening to a friend in Chicago rap about teen suicide, he decided to address the issue in his single "Goodbye." He recently saw NF, a popular rapper, in concert and said the performance influenced some of his own lyrics. "I'll listen to their songs and it will inspire me to write different things," he said. Baglino's early success has been gratifying and has served as fuel to pursue his future goals, which include studying music in college. While he is becoming a more well-known artist throughout Utah, he hopes to build a nationwide fanbase. But he will have to overcome obstacles to get there. In Utah, where there is not a very large rap culture, it is difficult for rappers to earn prominence outside of the state. To help gain exposure, Baglino sometimes works with other rappers in different states. He recently performed in Brooklyn, New York, and plans to perform in Arizona this September. "There's never been a Utah rapper who's done something big," he said. "One of my goals is to be the first to make it out of Utah." Baglino is set to release a new song and music video in the middle of August, with the help of Bennett Barbosa, a recent Park City High School graduate. Barbosa also filmed and created the music video for "Goodbye." On Sept. 28 and 29, Baglino is scheduled to perform in Salt Lake City's Crucial Festival. He sees his upcoming performance as a step to achieving his larger music goals. "Chase your dreams," he said. "You're going to have to go at it but it's worth it."